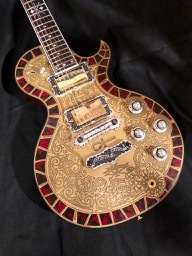 The Teye- super L-series sports engraved metal plates, Lollar pick-ups and the full new Teye-electronics including the MOJO Analog Spectrum Modeller circuit. 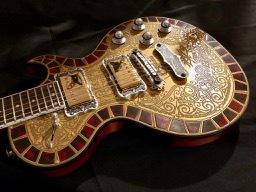 Here is the new L-Series Cleopatra from Teye Guitars. 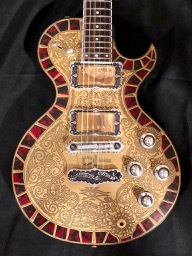 Similar in vibe to the La Canastera, but at a lower price and with the new Mojo knob, and new graphics/engravings. 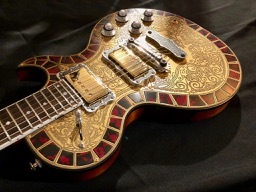 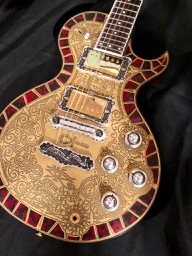 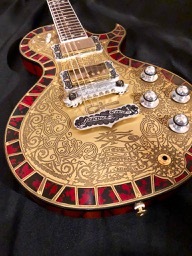 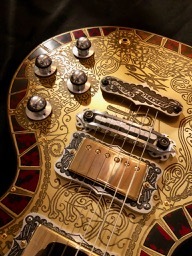 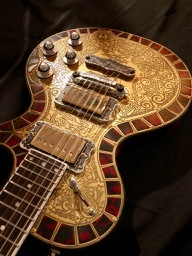 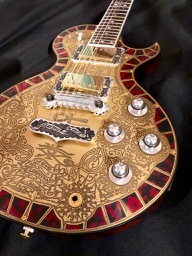 The mosaic pieces are no longer embedded in a separate mosaic-channel, but are now incorporated into the front of the guitar. 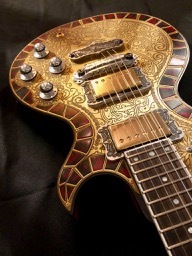 Tailpiece covers, pickup rings are now integrated into the engraving similar to the Master Series. 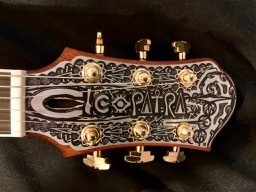 Also features a Shipwreck finish Mahogany back and neck, bound Ebony fretboard, Lollar pickups, Grover Imperial tuners and a waterproof SKB iSeries hardshell case. 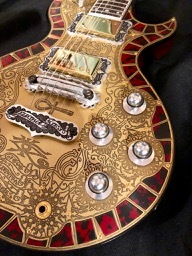 The new L-series has all of Teye’s design upgrades, is equipped with Teye’s superior electronics including the MOJO™ circuit, and has the new graphics that are meant to closely emulate Teye’s hand-engraved Master series.